Dip salmon fillets in melted butter, covering both sides. Place in a baking dish. Squeeze lemons evenly over each fillet. 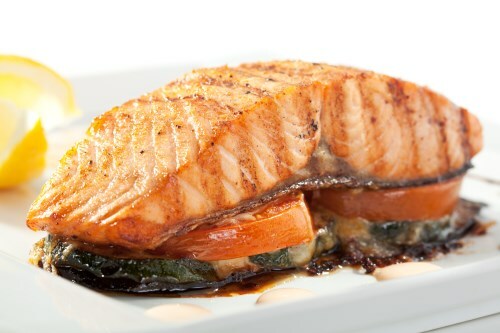 Whisk balsamic vinegar, soy sauce, xylitol, and garlic together in a bowl; spoon over salmon fillets. Sprinkle with parsley; drizzle any remaining butter over fillets. Bake in the preheated oven until fish is opaque and flakes easily with a fork, about 30 minutes. Remove from oven and cover with aluminum foil for 3 minutes before serving.